Tensile strength: 630-7500/mm Width: 500 ~ 2400 mm. Cover Grade: Normal, fire resistant, cold resistant, Abrasion resistant, Heat resistant, Acid/Alkali resistant etc. Especially suitable for long distance, heavy load and high-speed conveying materials. Conveying materials in coal, mine, harbour, metallurgy, power station, chemical, etc. 6) Acid/Alkali Resistant Conveyor Belt, etc. 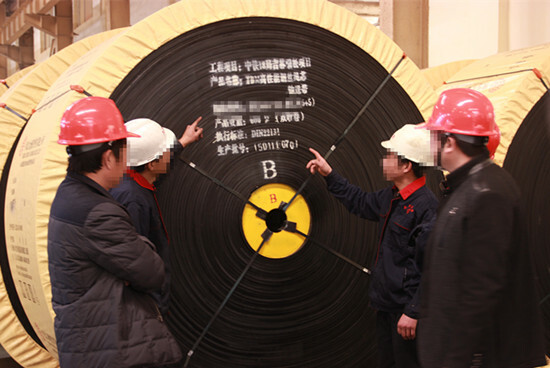 With acvanced technology, we could change the cord diameter, pitch and number of steel cords. Contact us if you need more details on ST1000 Steel Cord Conveyor Belt 800mm. We are ready to answer your questions on packaging, logistics, certification or any other aspects about 800mm ST1000 Steel Cord Conveyor Belt、800mm 4/2 ST1000 Steel Cord Conveyor Belt. If these products fail to match your need, please contact us and we would like to provide relevant information.